On April 18, 2019, the Center “Chovekolubie” celebrated the Easter with on a solemn lunch. The members of Club “Vkusno” prepared a festive lunch with products donated by the Bulgarian Red Cross, cozunacies and painted Easter eggs. Guest of the celebration was Victoria Kuzermanova – a lecturer in literature and an associate, who delivered a poetic recital dedicated to the April uprising. With her author’s poems, she awakened in the participants of a spirit of patriotism and respect to the feat of our ancestors. During the week Center “Chovekolubie” received ton and a half of the help from the Bulgarian Red Cross – Pazardzhik. The help is from the European Union, the Fund for Assistance to the Most Deprived Persons. Users of the Center from Pazardzhik, September, Chernogorovo and others received 16 kinds of products of first necessity – oil, sugar, rice, canned, etc. 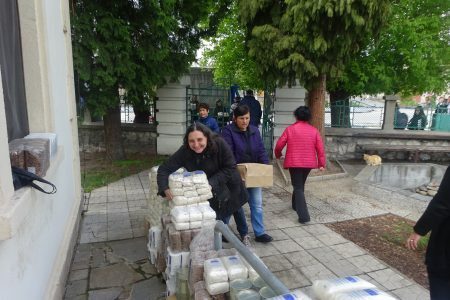 With the donation from the Bulgarian Red Cross the users will provide their living and will celebrate the Easter. 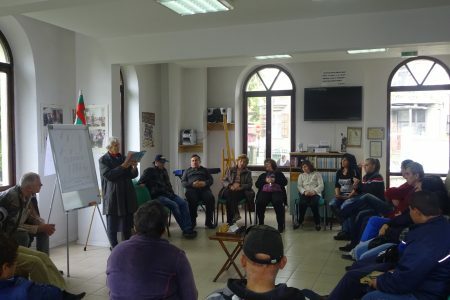 The Center Chovekolubie actively initiated social inclusion on April 11, 2019. 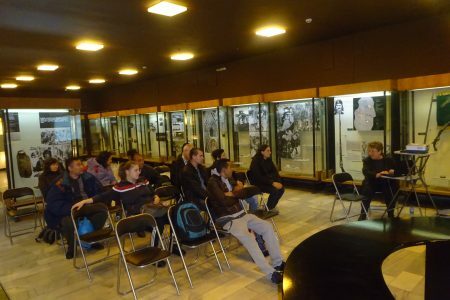 The Social Club organizes a visit to the Regional Museum of History in Pazardjik, and the “Healthy Life” Program took place in the Svoboda Park. The guests of the museum were kindly welcomed by the Head of Architecture Department – Ms. Valentina Taneva. The attendees got acquainted with the presentation “Money and Their History”, which contains information about the origin of the money and their historyc stages. Participants increased knowledge are about money, their value and developement over the centuries. After the visiting the museum was visited the park-island “Svoboda”. Participants played of table tennis, basketball, visited a zoo and outdoor fitness.